Doherty; McCallion, Greacen, McEleney, Lafferty; McGlynn, Higgins, Deery, McClean; P. McEleney (McDaid, 80), Zayed. Rogers; Pender, E. McMillan, Shorthall, Bermingham; Stewart (Keegan, 66) Crawley, McFaul (Bradley, 80), Doyle; Kavanagh, North. 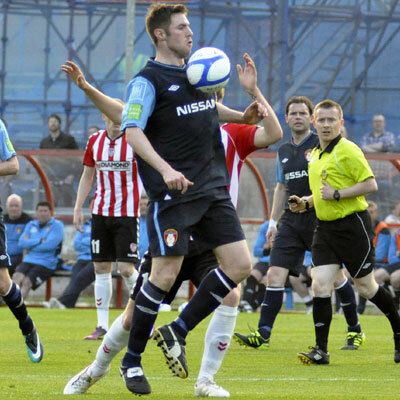 Derry City slipped back into third spot in the Premier Division table having failed to extend their winning run to four at the Brandywell last night. 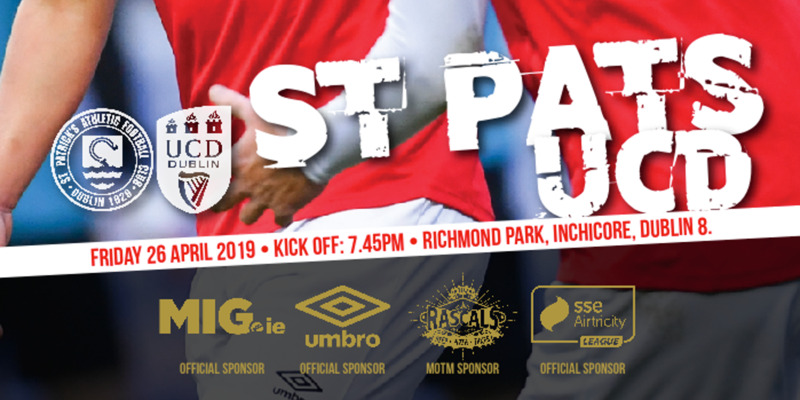 And while the home team had taken the lead from the penalty spot, St. Pat's deserved their point having put in what was a particular hard-working shift throughout. 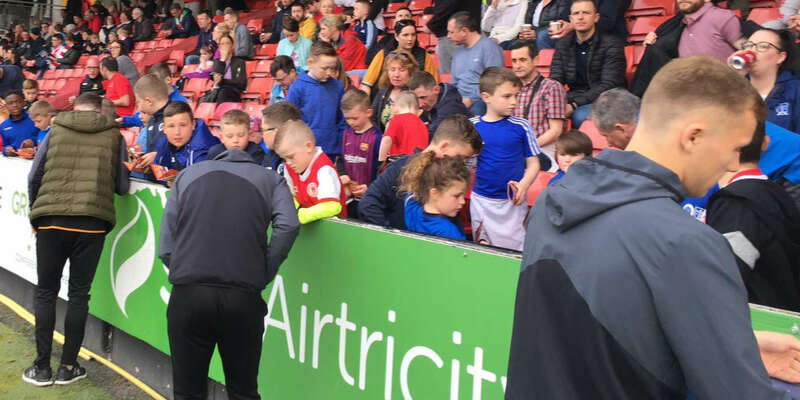 Pat's striker, Daryl Kavanagh may have been denied a close call for a penalty during the opening minutes of the game, but he eventually gained his reward when winning a spot kick nine minutes after Derry had scored and Daniel North made no mistake from the spot. Indeed, the home side were denied by a top drawer double save by Pat's keeper, Gary Rogers, during injury time at the end of the first half. The keeper did well to parry Kevin Deery's diving header, before touching Eamon Zayed's rebound over his cross bar with the space of a second. Derry had broken the deadlock when the lively James McClean lashed the ball home after what had been a fluent move involving Gareth McGlynn and McCallion. McGlynn had sent McCallion scampering clear on the right and while his cross had been blocked inside the area, McClean pounced to drive the loose ball home giving Rogers no chance. 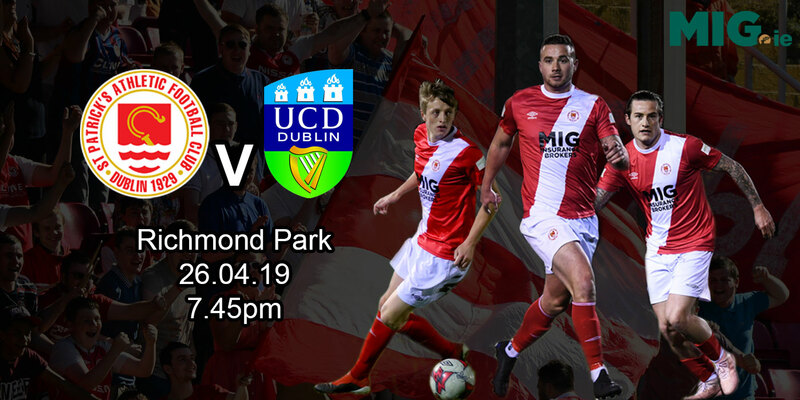 But back came the hard-working men from Inchicore and when Kavanagh had weaved his way inside the danger area in the 78th minute, referee Derek Tomney, pointed to the spot following a challenge by McCallion. And fellow hitman North displayed great confidence when driving the ball home giving Derry keeper, Gerard Doherty no chance from the spot.